IntoPolish – because translation matters! Looking for uncompromising quality for your Polish-related translations? Want to be sure that your the deadlines are always met? Seeking one-stop-shop for your Polish jobs? Want to gain competitive advantage by having a text that sounds not only 100% correct in Polish but also has a strong marketing appeal with your clients? Consider us for your project! We are a couple of experienced freelance translators and Polish native speakers. You may benefit from our professional expertise, supported by flexibility, honesty and integrity. These features have made us the translation service provider of choice for many LSPs and end-customers throughout the world. 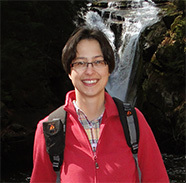 Agnieszka Andrzejczak MA, a linguist specialist. Graduate from Adam Mickiewicz University of Poznan, Poland. Language pairs: de-pl and en-pl. 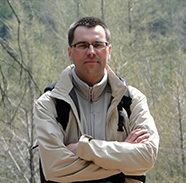 Maciej Andrzejczak MA, an economist. Graduate and post-graduate from the Poznan University of Economics in Poznań, Poland. Language pairs: en-pl, de-pl, fr-pl, it-pl, sp-pl.